The lawsuit involving Gawker and Hulk Hogan has been going on for some time now. Initially, the court had ruled that Gawker owed Hogan $140 million in damages, which would effectively bankrupt the media outlet. However Gawker is fighting the appeal now, and in the process, looking for potential buyers who could help with the damages. 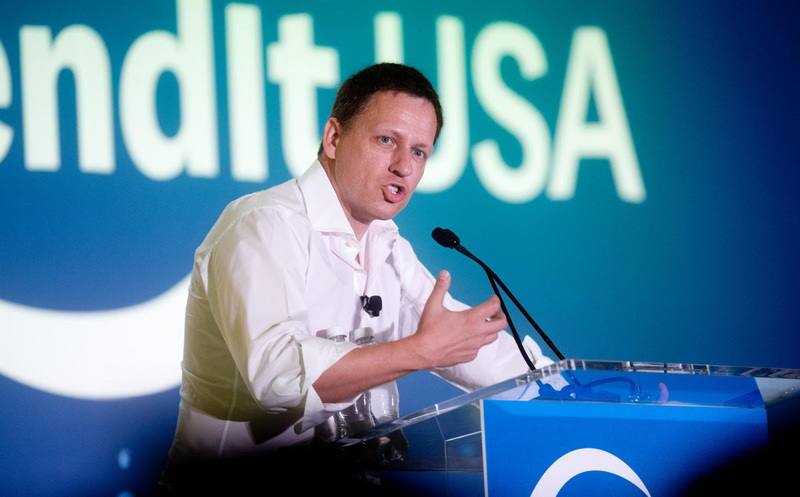 Also last week, it came out that a Facebook board member, Peter Thiel, was bankrolling the prosecution against Gawker. His involvement has led many to speculate as to the reason a Facebook board member would want Gawker buried. 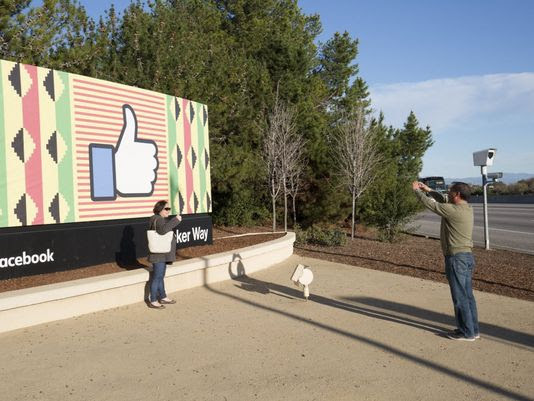 However, the gossip site outed him as gay in 2007, so his dislike for the site predates his time at Facebook. Andrew Bosworth, vice president of Facebook’s ads and business platform, announced that Facebook will be “expanding [our] Audience Network so publishers and developers can show better ads to everyone – including those not connected to Facebook.” This form of ad tracking is used all the time, however not by a social network nor a company already generating $17 billion in ad revenue without it. For many who don’t have Facebook, there is some relief, because there will be an opt-out option. However, it remains to be seen how easy and straightforward that option will be. Internet trolling and abuse is an issue across nearly every website that exists. Many sites use a report and review system, where users report abusive comments and someone reviews them internally. However, Periscope will be trying a new system, in which abusive comments that get flagged will be immediately shown to a random selection of five or so users to vote on whether that person is guilty of being a troll. It’s a completely unique system that may create a quicker way to fight abuse and bolster the Periscope (and perhaps eventually Twitter) community. However, trial by jury could also provide some new issues, for instance, if the randomly selected group is also feeling particularly abusive. Either way, Periscope is empowering its viewers to own their community and police it themselves. 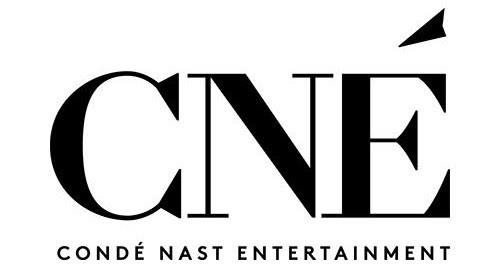 Mass media conglomerate Condé Nast is positioning itself on the forefront of media innovation, with its “Next-Gen Studio” pushing out content centered on celebrities, humor, and food. 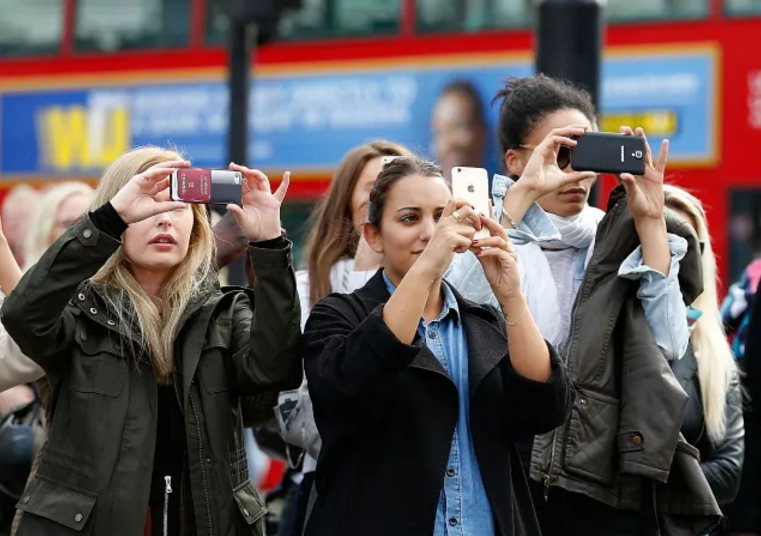 Often combining two or more of these three engagement drivers, projects such as Vogue’s 73 Questions, Wired’s Google Autocomplete, and Vanity Fair’s Tinder Takeover place celebrity personalities in situations where viewers get a candid impression of their favorite stars. CNÉ has identified its audience as “The Cultured Millennial,” a group comprised primarily of 25 to 34-year-old professionals interested in travel and entertainment whose advancing careers gives them a greater disposable income. In order to give the Cultured Millennial one place to consume all the content they love, CNÉ aggregates content from its various publishers on TheScene.com. Here, consumers can explore by topics such as Pop Culture, Sports, Food, and Style. Projects coming out of the Next-Gen Studio present exciting opportunities for marketers to reach a valued consumer segment in a unique way. For example, CNÉ has struck a production deal to create the first-ever episodic series in immersive virtual reality, partnering with Samsung to distribute the series. News delivery tends to fall prey to social trends. Emoji are no exception. Fusion, a millennial-focused news source, has killed to two trends with one stone. 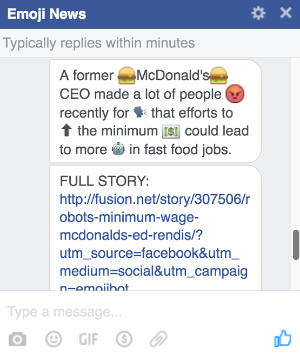 They recently released a Facebook Messenger chatbot that will send subscribers “emoji’d news” headlines. In case you feel like emoji haven’t gone too far yet, don’t worry, we’ve got more emoji news for you. An emoji’d Bible was recently released. In case you’re not ready to purchase an emoji copy of the Bible, you can check out the Twitter feed. Here’s some free advice for brands trying to reach millennials: use emoji sparingly. A spoonful full of sugar, not a handful, helps the medicine, headline news, or holy scriptures go down.